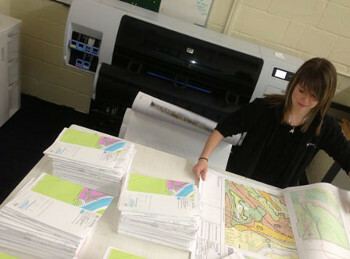 Company installs an HP Designjet T7100 Printer to offer higher quality and faster turnaround times. Reprohouse's HP Designjet T7100 PrinterReprohouse, a UK based printer located in Chelmsford has installed an HP Designjet T7100 Printer. The company made the investment as part of its expanding printing portfolio and to offer customers faster turnaround times and higher quality output. It has a client base that spans a variety of sectors, from national housing developers to overseas development organisations. 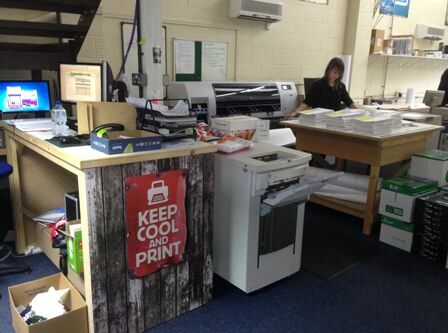 Reprohouse‘s range of services include CAD printing, digital archiving, poster printing and display services. The addition of the HP Designjet T7100 is designed to help it enhance its extensive capabilities and services even further. "Our customer’s demand that their drawings and prints are produced to the highest quality and are right first time, every time," Graham Taylor, managing director, Reprohouse, explained. "We're printing a lot of different drawings from various packages and what's really great about the HP Designjet T7100 is that it's highly adaptable. We can be confident of producing output that is exactly what the customer intended and there is no compromise, which is worth its weight in gold in our business." Using HP's Double Swath Technology, the Designjet T7100 Printer Series is said to deliver high speed and quality wide format printing. It supports most CAD applications on a broad range of operating systems and includes an embedded job accounting functionality to track usage and help manage printing costs. The product also features HP ePrint & Share, which allows design professionals to automatically create, print, share and manage project files online using desktop or mobile devices. Reprohouse purchased an HP Designjet T7100 Printer to offer customers faster turnaround times, higher quality output and greater capacity "Right now, there are lots of reprographics companies looking for a printer that delivers high productivity with significant cost reduction," explained Anne Sharp, category and marketing manager, Designjet, HP UK & Ireland. "The HP Designjet T7100 printer is designed specifically for customers such as Reprohouse, providing versatility and speeds of up to 165 A1 prints per hour. This helps them enhance productivity, expand capacity and grow their offer all at a cost that they can afford." With a very high volume of drawing prints going through its doors every month, minimising waste and reducing set-up costs was paramount for the The Reprohouse print room team to maintain its margins in an increasingly price competitive market. "We chose the HP Designjet T7100 because it's faster than the competition and more reliable, so we're making savings and delivering a better experience for our clients," Graham Taylor added. "It's the best workhorse you could wish for - you just leave it to get on with its job in the corner and we just know the results will be really impressive." HP added that the Designjet T7100 printer is also ENERGY STAR® certified, which means it produces less heat and requires about 15 per cent less in terms of cooling demand. It also uses about half as much electricity and automatically goes into "sleep" mode after periods of inactivity. In addition, it pointed out that the printer saves resources by offering paper-saving automatic print settings and image nesting, combined with HP's free, convenient ink cartridge and printhead recycling.